Take a tour of Vancouver and see every exciting thing this city has to offer. You will leave with a wealth of knowledge! North America's third largest urban park hosts an estimated 8 million annual visitors. 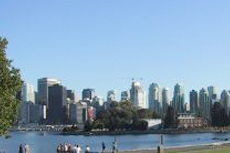 Stanley Park is a place for Vancouverites to enjoy the outdoors and recreate in a comfortable, safe environment. With a Vancouver trolley tour, visitors can choose to see the sights completely from the comfort of the trolley or they can enjoy a hop on/hop off experience that will allow them to explore the sights and areas they're more interested in on foot. 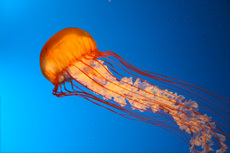 See denizens of the sea up close at the Vancouver Aquarium, the largest in Canada. 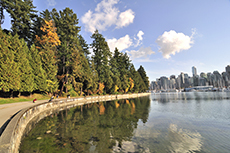 Stanley Park: The 1,000-acre evergreen oasis of Stanley Park, surrounded by a 6-mile paved seawall, is Vancouver's main tourist attraction. Visitors can walk 17 miles of forest trails, bike or just watch the ships go by. 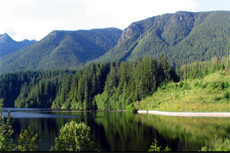 Attractions include Vancouver Aquarium, the Variety Kids Water Park, a display of totem poles by First Nations artists, a mini-train, horse-drawn rides, beaches, playgrounds, a teahouse, several cafes and picnic areas. Gastown: A short walk from Canada Place, Gastown is the city's oldest neighborhood. Today, it's a welcoming precinct of cobblestone streets, boutique stores, trendy bars and restaurants -- and the Steam Clock, Vancouver's most-photographed attraction. At each quarter hour, the clock's five whistles blow, shooting off steam at the top of the clock. Water Street is Gastown's main thoroughfare, and the Steam Clock is located at Water Street and Cambie Street. Chinatown: Vancouver's Chinatown is the second-largest in North America. The best streets to stroll are Pender and Keefer, which feature the Dr. Sun Yat-Sen Classical Chinese Garden; the ancient healing wonders of traditional Chinese medicine at Kiu Shun Trading Company (261 Keefer Street); Sam Kee (8 West Pender Street), the shallowest commercial building in the world by the Guinness Book of Records, at just under five feet; and many other specialty shops. There's also a bit of a renaissance going on here; old Chinese clan houses are being refurbished and hip bars and restaurants are moving in. Tip: In the summertime, events like yoga, outdoor concerts and tea ceremonies take place. Yaletown: Originally Vancouver's garment district, the trendy Yaletown neighborhood is now home to fashionable boutiques and local designers, high-end restaurants, microbreweries and galleries. Amid SoHo-style ambiance, visitors can shop, have lunch, people-watch or admire the yachts at the marina at the end of Davie Street. Granville Island: Although known for its public market packed full of local produce, homemade products and unusual ingredients, Granville Island (more like a peninsula) is much more than just food. Watch artists hone their skills in glassblowing, pottery and jewelry-making, or shop at a separate kids market, featuring shops that sell everything from wooden toys to glitzy costumes. There's also an indoor play area called the Adventure Zone. 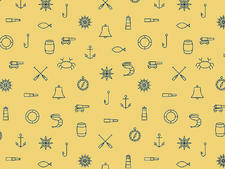 Nautical buffs will enjoy the maritime market with shops selling books and merchandise related to boating. It's located on the opposite side of False Creek from downtown, below the Granville Bridge, and is reachable by ferry, hop-on hop off bus or trolley, and public transit. Kitsilano: Across False Creek from downtown, the bohemian Kitsilano neighborhood overlooks English Bay with a park, beach and spectacular outdoor swimming pool. The hippies who flocked here a generation ago have grown up but left behind restaurants that feature vegetarian selections and shops selling organic merchandise. Eateries are located on Yew Street, opposite the park. Kayaking: For a good workout and some great sightseeing, rent a kayak or take a guided tour with Ecomarine Paddlesport Centres (604-689-7575) or Deep Cover Kayak (604-929-2268). Richmond: This town is a short SkyTrain ride from Vancouver International Airport, and makes a fascinating side-trip if you're staying at the airport. You'll feel like you've traveled to Asia, since this is a popular homestead for Asian immigrants. 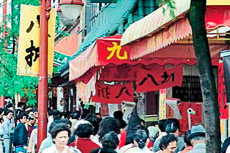 It's filled with authentic restaurants, including vast dim sum palaces, malls (along No. 3 Road) and places of worship. Richmond's "Highway to Heaven" (No. 5 Road) is lined with more than 20 religious institutions, including temples, mosques, monasteries, churches and chapels. Best for Families: Second Beach, in Stanley Park, comes complete with a heated swimming pool, children's play features, concessions and changing rooms. Best for Seeing and Being Seen: English Beach bustles with activity, including volleyball courts, a concession stand and the Cactus Club Cafe. Best for Chilling: Kitsilano Beach Park, located on the other side of False Creek, reflects Kitsilano's relaxed vibe. It also has a big swath of grass, tennis courts and a huge heated outdoor saltwater pool. Best for Letting It All Hang Out: Wreck Beach is clothing optional, and also has good sunset views from its five-mile stretch of sand.